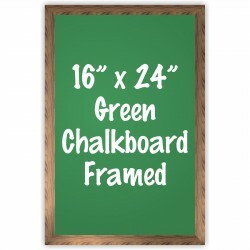 NEOPLex chalkboards are made of a melamine (plastic laminate) backed on a high-density fiberboard which makes them lightweight, but sturdy to stand up to years of use and are available in either black or green. These are framed on site with poplar hardwood and hand-stained. Each wall mount display board comes with saw-tooth mounting hardware to easily hang. 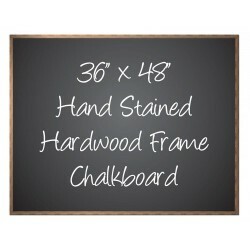 12" x 16" dimensions include frame. 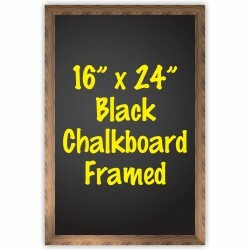 Black Matt writing surface works with traditional chalk stick..
12" x 16" dimensions include frame. Green Matt writing surface works with traditional chalk stick..
16" x 24" dimensions include frame. Black Matt writing surface works with traditional chalk stick..
16" x 24" dimensions include frame. Green Matt writing surface works with traditional chalk stick..
24" x 32" dimensions include frame. 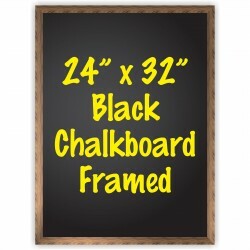 Black Matt writing surface works with traditional chalk stick..
24" x 32" dimensions include frame. 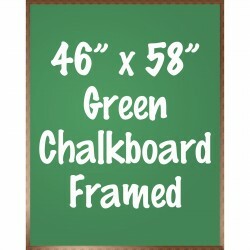 Green Matt writing surface works with traditional chalk stick..
24" x 48" dimensions include frame. 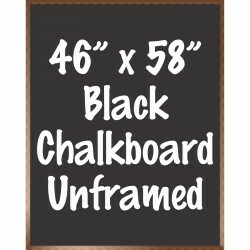 Black Matt writing surface works with traditional chalk stick..
24" x 48" dimensions include frame. 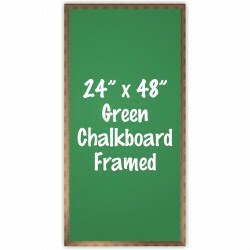 Green Matt writing surface works with traditional chalk stick..
24" x 60" dimensions include frame. Black Matt writing surface works with traditional chalk stick..
24" x 60" dimensions include frame. 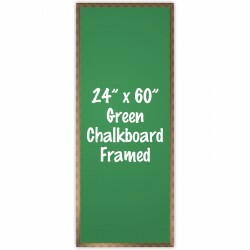 Green Matt writing surface works with traditional chalk stick..
24" x 72" dimensions include frame. 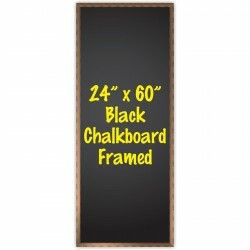 Black Matt writing surface works with traditional chalk stick..
24" x 72" dimensions include frame. Green Matt writing surface works with traditional chalk stick..
36" x 48" dimensions include frame. Black Matt writing surface works with traditional chalk stick..
36" x 48" dimensions include frame. 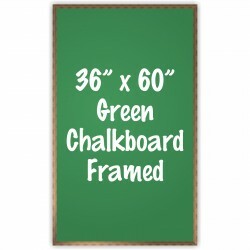 Green Matt writing surface works with traditional chalk stick..
36" x 60" dimensions include frame. 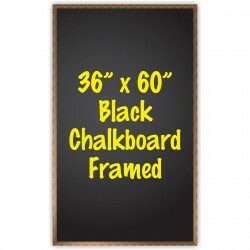 Black Matt writing surface works with traditional chalk stick..
36" x 60" dimensions include frame. 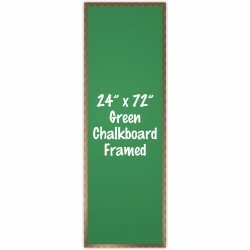 Green Matt writing surface works with traditional chalk stick..
36" x 72" dimensions include frame. Black Matt writing surface works with traditional chalk stick..
36" x 72" dimensions include frame. Green Matt writing surface works with traditional chalk stick..
48" x 60" dimensions include frame. Black Matt writing surface works with traditional chalk stick..
48" x 60" dimensions include frame. Green Matt writing surface works with traditional chalk stick..
48" x 72" dimensions include frame. Black Matt writing surface works with traditional chalk stick..
48" x 72" dimensions include frame. Green Matt writing surface works with traditional chalk stick..
48" x 96" dimensions include frame. Black Matt writing surface works with traditional chalk stick..
48" x 96" dimensions include frame. Green Matt writing surface works with traditional chalk stick..